In open sources there was a set of pictures of the screen and the videos telling about allegedly first fact-finding assembly of new Windows Blue OS for partners. It is assumed that due to leakage wide range of browsers and enthusiasts can now see what should be the successor to the Windows platform-8. In particular, we can already talk about the small but significant changes in the GUI Windows Blue compared to Windows 8. Judging from the available pictures and movies in the system Windows Blue should see the so-called “tied presentation” (Snap View), which allows you to assign just two windows side by side on the desktop. Every window in this is exactly half of the screen. In addition, you can display on your desktop just four application windows. In fact, in Windows 8 is quite lacking this here windowed mode. 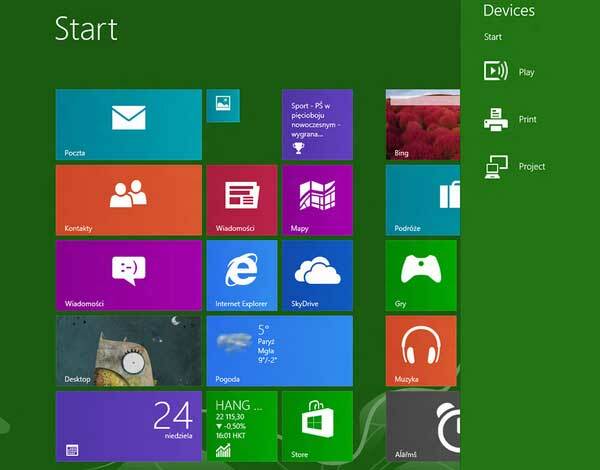 Thus, the platform is Windows Blue should be the successor of Windows 8. 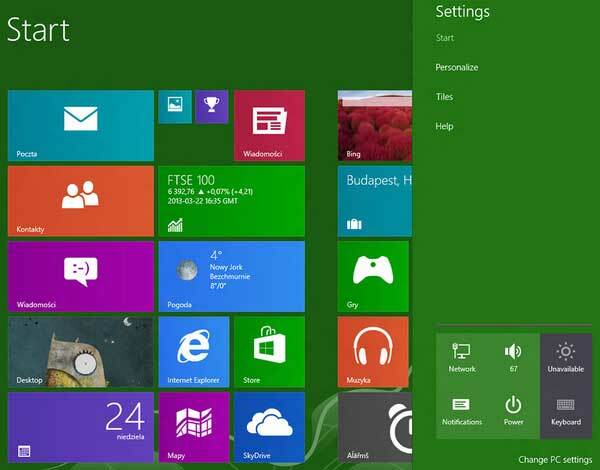 This is not a Windows 9, an updated version of Windows 8. According to reports, Microsoft is making every effort to release the update this summer. Blue Series releases for products Windows Phone, Windows Server and other applications and services tied to Windows, expected or simultaneously with the release of Windows Blue, or immediately after this release. According to various sources, leaked build has the number 9364. 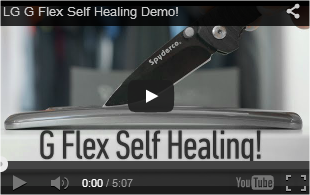 In fact, the most imaginative new products not so much. This is understandable, because the changes are best put aside until the release of a full new version of Windows. At the same time, numerous screen shots you can see the number of new applications, including a timer, calculator, sound recording and «Movie Moments» (A selection of the best shots from the video archive). It is worth noting that the official build Windows Blue has not received even a trusted partners Microsoft, because at the moment only completed the first phase of internal testing Milestone 1 – Windows Blue held in mid February 2013 Public access to the status of the beta should be open Only after the second stage Milestone 2. Microsoft did not give any official comments in connection with the leak “Windows Blue Build 9364.” However, there is information on the significant progress made in energy consumption. For example, expected to be significantly extended run on machines with the new processors Intel Haswell technology-based Ivy Bridge. As expected, their energy consumption will be at the level of mobile processor Atom, and performance – at the level of a powerful desktop PC. Improving energy efficiency of these new chips will be provided through the extended load control dormant, and in applications that do not require the full commitment of all the processor cores and peripheral controllers. A supposed partner build of Windows Blue shows off some of the early interface tweaks Microsoft may be making with its Windows 8 successor. 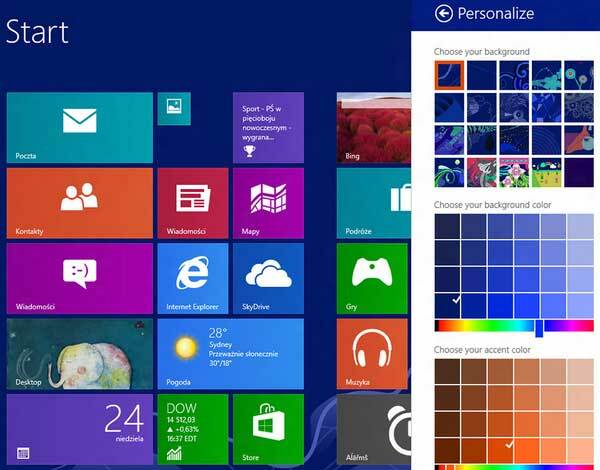 It looks like Windows 8, but has some modifications that give users more personalization controls. 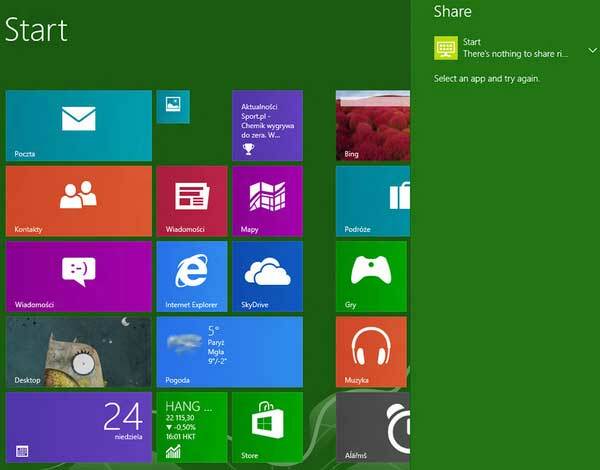 A number of changes make Windows 8 even friendlier for those looking to adjust their OS by poking their screens.